It seems the Cleveland Cavaliers don’t care about luxury tax for next season, re-signing both Kevin Love and Iman Shumpert to make a waiting LeBron James very happy, following the deal that also kept Tristan Thompson with the team. In short, except for James, every meaningful player the Cavaliers had in last season’s run to the NBA Finals except for J.R. Smith, who might be the one left outside of the power circle, is coming back. Kyrie Irving has a contract, Timofey Mozgov had a team option the Cavaliers decided to activate. Matthew Dellavedova is a restricted free agent, but he’s probably staying also. 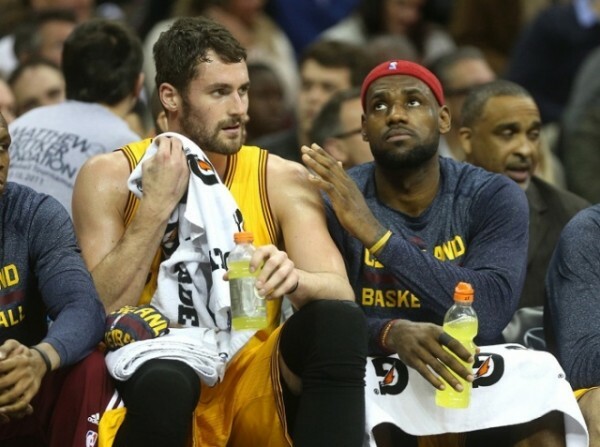 However, despite his popularity, keeping him isn’t the most crucial next move for the Cavaliers. Love teased with talking to the Los Angeles Lakers and looking sideways at the Boston Celtics, but he signed a five-year, $110 million deal. Love will be turning 27 in September. Interestingly enough, Love probably lost money by taking this deal. He could have gone for a one-year deal with the Cavaliers or anyone else and then enjoy the salary bonanza of 2016 and sign a max deal then. However, despite the huge sum he’s taking, Love is very interested in more seasons next to LeBron James and probably the best chance he has to challenge for a title. Shumpert didn’t leave money on the table, because he might be in a situation that maxes out his ability. He signed a four-year, $40 million deal, which is surprising to many considering his numbers (7.2 points, 33.8% 3-point shooter). However, there’s more to Shumpert than points, and that might especially be true if he gets a bigger role next season, depending on what happens with J.R. Smith and who the Cavaliers hypothetically bring in for him. Shumpert is a fantastic defender and has time to work on his 3-point shot. He can guard two or even three positions and fill in a number of roles for the Cavaliers. In order to make LeBron James happy, the Cavs didn’t try to mess around with this one. And the player-general manager sits and is probably pleased. He opted out of his deal and will probably sign a one-year contract, no longer in the mood to help out his teams by taking less than the maximum contract. LeBron James feels that this team was shortchanged last year with injuries, and that losing in six games in the NBA Finals wasn’t how it should have ended. He got what he asked for. Now all he needs is to re-sign and start another campaign aimed at finishing the season with the trophy.